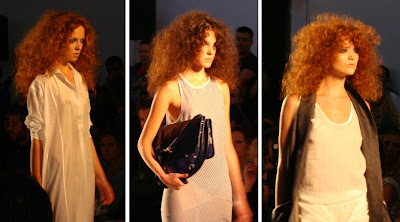 Orsalia Parthenis, the woman behind the brand, is the one of the most promising greek designers that showed last week. I would wear almost anything from her collection with great joy - minus the price tag of course. 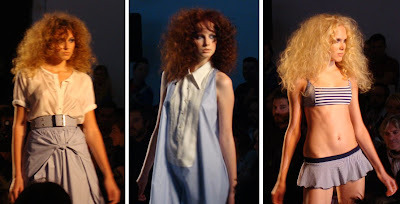 The color palette was the epitome of summer shic: light blue, navy, white, cream and pale yellow and all the fabrics looked so lightweight they could fly away on their own. 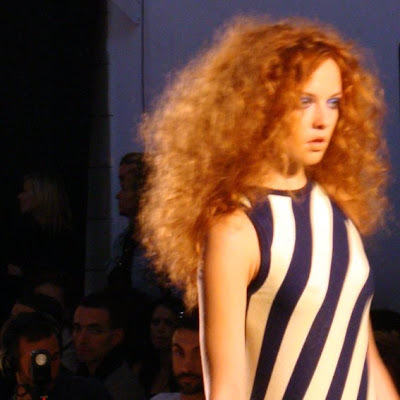 I also wish I had shot a video from the show, so you could also see the way those hair bounced as the models strutted on the catwalk, like a summer breeze was going through it. Made me miss summer! 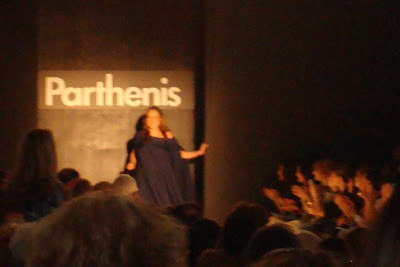 I love Parthenis! I have some dresses from the time that her father was designing (to be honest I "stole" them from my mom!)!. They are preety simple but soooo stylish! I believe the term is "cocooning"